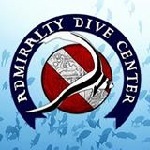 The Admiralty Dive Center is a full service and one of the best dive center in St. Thomas that specializes in providing exclusive scuba diving adventure packed packages, effective diving courses and affordable diving gear rentals. We always aim to make your scuba diving experience in St. Thomas a memorable and fun filled one. With us, you will be able to explore a stunning underwater world, marine life and explore top dive sites like big wreck and exotic reefs in a safe and convenient way under the supervision of an experienced scuba diving instructor in St. Thomas. We also offer dive charters for island stay and cruise ship visitors to enjoy an exhilarating scuba diving experience. To get more information about an exclusive scuba diving program, packages, gear rentals and PADI scuba diver course, please call us now at (340) 777-9802.